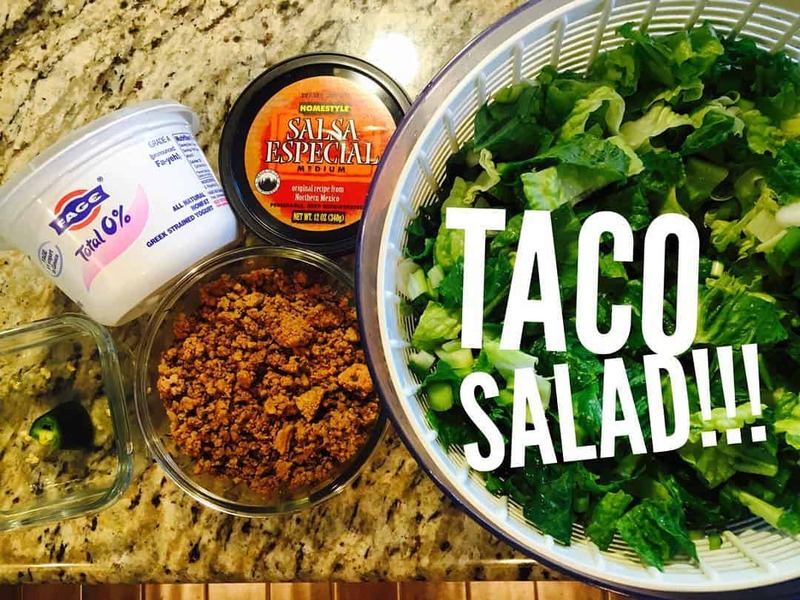 Taco Salad, Keeping it Healthy! I’m sure we can agree tacos might be our favorite meal! I used to hit up Taco Bell twice a week! In fact, while I was pregnant with my first child, Matt and I had the tough decision of where to eat on break from our birth training class ? Would it be McDonald’s or Taco Bell? Taco Bell won, but it was a close call. We haven’t had fast food since Jude was born 3 1/2 years ago. It was a personal decision to just say goodbye forever and never look back. We feel SO much better! Those gut bombs are not worth it! So now, I make a taco salad and pretend it tastes like a double-decker, lol. This is a slim tummy recipe as compared to a bloated sad tummy. Tag a friend you wanna eat taco salad with??!! !